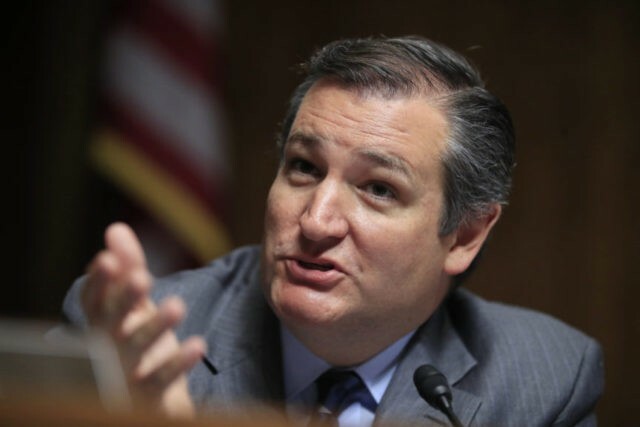 Sen. Ted Cruz says he’s against the Republican bill that would erase much of President Barack Obama’s health law. If the Texas Republican sticks to that stand, GOP leaders will have little hope that their 11th-hour Senate push will survive. The bill would lose if three GOP senators vote “no” in a showdown this week. Cruz says he doesn’t think Utah GOP Sen. Mike Lee supports the measure. A Lee aide did not immediately answer a request for comment. A White House adviser insists the Republican health care bill would protect people with pre-existing conditions. That’s despite the fact the bill would loosen the rules under the Obama health law — by giving states waivers that would let insurers charge more, or tailor benefits to discourage people with costly conditions from signing up. White House legislative director Marc Short says Republicans plan a Senate vote, probably Wednesday, on the latest and last-ditch effort to undo the Affordable Care Act. Short was interviewed on NBC’s “Meet the Press” and said — four separate times — the bill protects people with pre-existing conditions. Sen. Lindsey Graham of South Carolina still thinks there’s a path forward for a last-ditch effort to end “Obamacare,” even after his friend, Sen. John McCain, said he opposes the bill. Speaking on ABC’s “This Week,” Graham says Republicans are “moving forward” with a bill he co-sponsored with Illinois Sen. Bill Cassidy to dismantle the Affordable Care Act. Republicans hold a 52-48 majority in the Senate and can only afford to lose two votes. Graham mentioned Sens. Susan Collins of Maine and Rand Paul of Kentucky. Paul has said he’s a “no” and Collins said on CNN Sunday she finds it “very difficult” to see herself backing the bill. He tells “Fox News Sunday” there might be small bill revisions to “refine the formula” deciding how much money goes to each of the 50 states. The bill would establish block grants to states. Republicans hold a 52-48 majority in the Senate and can only lose two votes. Republican Sens. Rand Paul and John McCain have said they would vote no. Sen. Susan Collins on Sunday said she found it “very difficult” to envision backing the bill. Sen. Rand Paul of Kentucky says he’s unlikely to change his mind on the Republican health care bill in Congress. The president’s hoping Paul and Alaska Sen. Lisa Murkowski will swing behind the latest bill to undo “Obamacare” to save the bill in the Senate. Paul says on NBC’s “Meet the Press” that the bill wouldn’t actually repeal the Affordable Care Act. That’s because it would replace major parts of the law with block grants for states to design their own programs. Paul says the bill would keep most “Obamacare” spending and reshuffle the money into block grants that would set up “a perpetual food fight” among states over the formula. He suggests he might be open to the bill if it just repeals the Obama health care law with a bill that doesn’t create block grants. Republican Sen. Susan Collins says she finds it “very difficult” to envision backing the last-chance GOP bill that would repeal the Obama health care law.